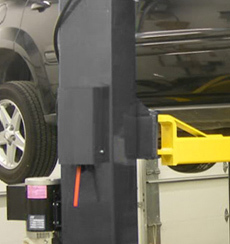 The XPR-10AS 2-post lift features the superior direct-drive design with rotated columns to allow you to open the car doors wider allowing easier access.  While it is designed as an asymmetric lift, it's innovative design also allows you to move the automobile forward more if it does not balance out well asymmetrically. Truly the best of both worlds. Plus, you can set it up wide or narrow, depending on your shop's needs. 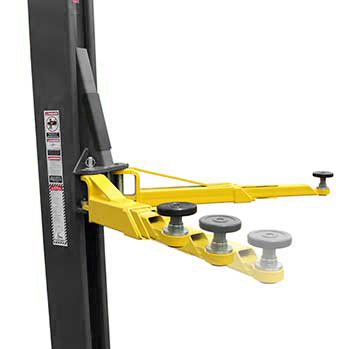 The XPR-10AS BendPak Lift is ALI and ETL Certified. The BendPak XPR-10AS offers exceptional direct-drive lifting performance with an important added benefit. 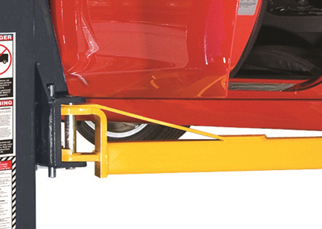 We rotated both posts inward to give you the ability to open a vehicle's doors while it's still raised, all without sacrificing drive-thru clearance. 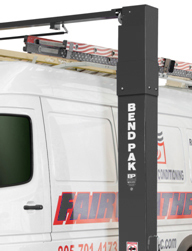 The BendPak XPR‐10AS asymmetric two‐post lift offers the convenience of wide or narrow installation wrapped up into one configurable package. 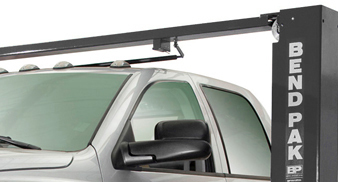 This durable, safe, and reliable car lift features an expandable top beam and Tru‐Metric arms to suit virtually every vehicle lifting requirement. The simple, yet highly sophisticated lift design keeps service and maintenance costs to a minimum, delivering lower operating expenses and higher productivity. The XPR‐10AS features double‐telescoping screw pads with gouge and tear resistant polyurethane pads to help increase workplace safety and reduce operating costs. 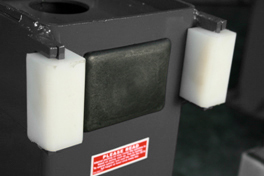 A set of our 63mm stacking adapters are also included as standard accessories. This true asymmetric lift features 30° rotated columns for added door‐opening clearance and interior car access. The exclusive Tru‐Metric carriage and arm design combines to give users the ability to load vehicles either symmetrically (centerline of vehicle at column) or asymmetrically (centerline of vehicle behind column). Optional column extension - Gives you the flexibility of increasing the overhead clearance to maximize the vehicles you can service. Low profile frame screw pads - allow you to get under most low profile sports cars that might be difficult to reach with most hoists. Can be infinitely adjusted up to 2.5 inches for the ultimate versatility.